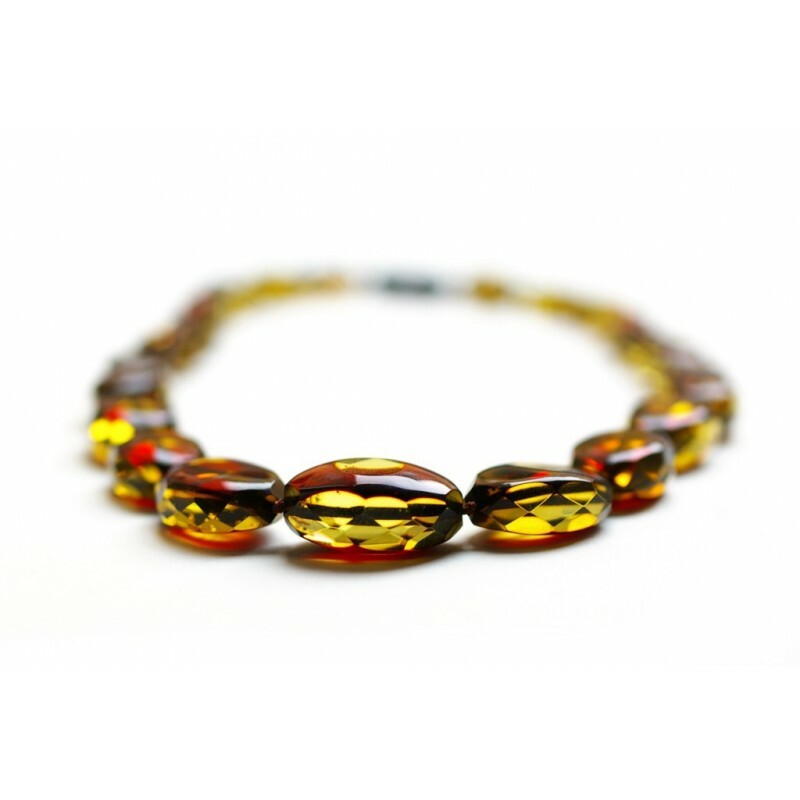 A diamond grinding necklace thread from moss green color amber pieces. Lemon amber pieces processed in a special way - partly blackened and angular. This creates an impression of green sparkling amber. Diamond grinding - it is particularly careful and valued way of amber processing, when a natural piece of amber is being polished giving it a diamond angularity. Amber, treated by this way, reflects the caught sun rays uniquely and sparkles with hundreds of shades.